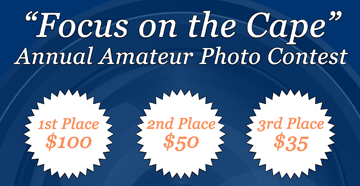 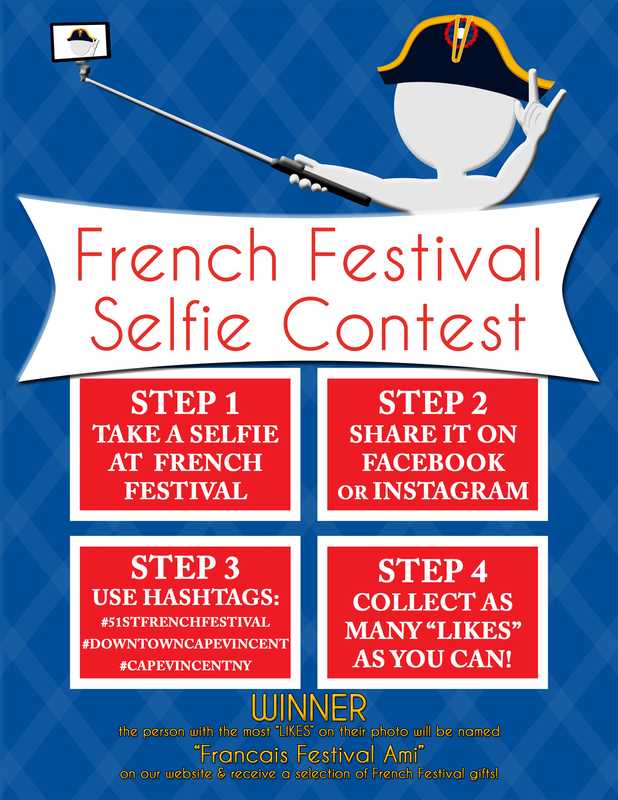 Selfie Contest! 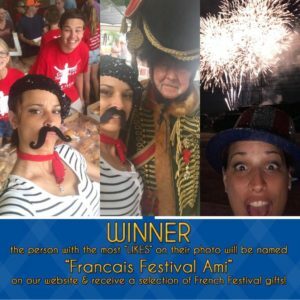 | Window Art Contest! 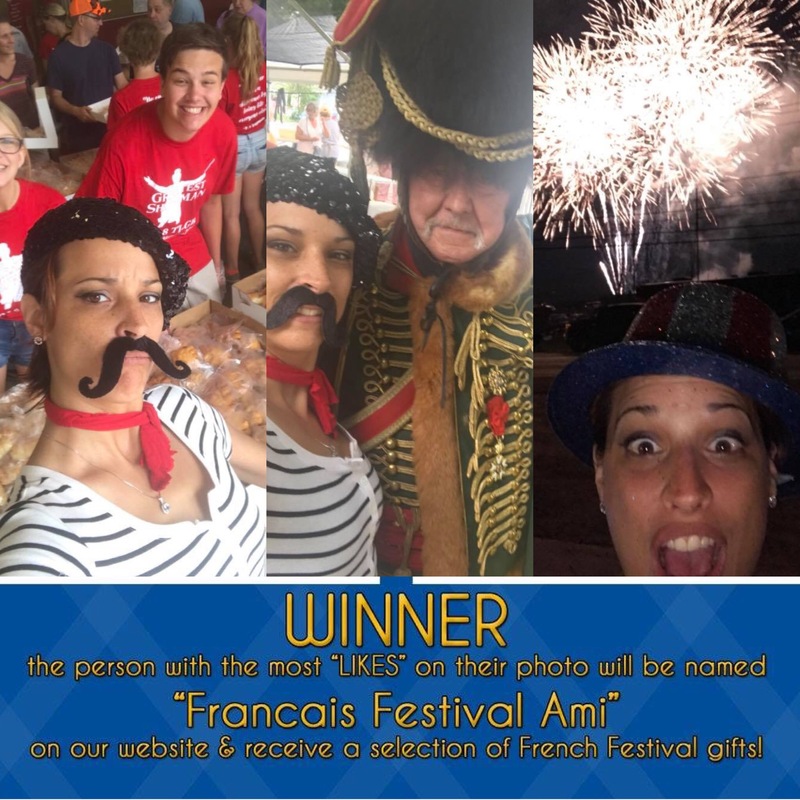 Samantha Mason, with 96 “likes” on her pastry selfie (the first of the three shown), is the 2018 – 2019 Francais Festival Ami! 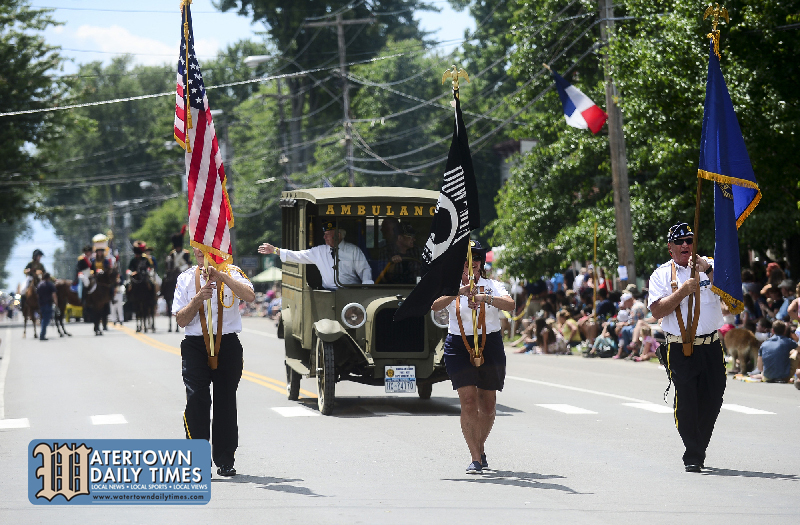 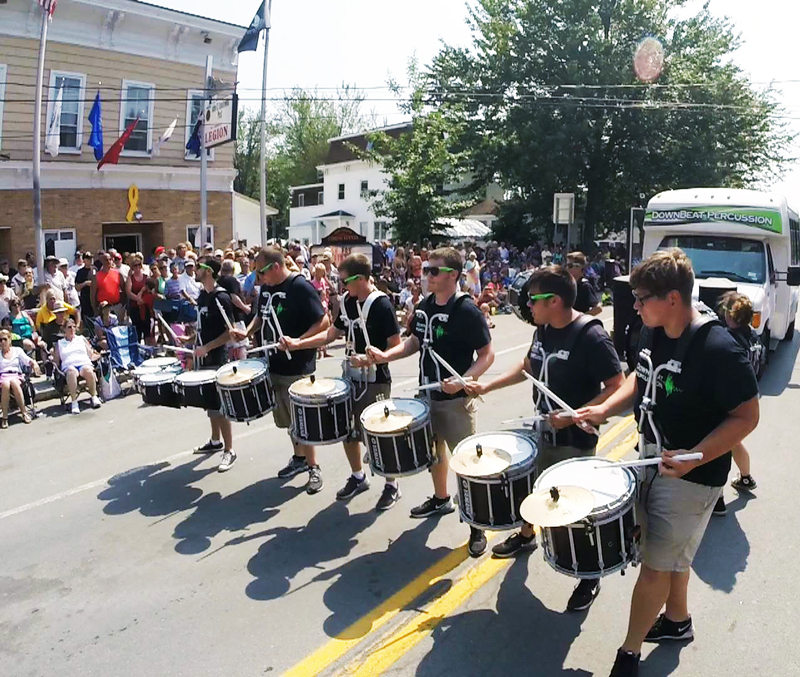 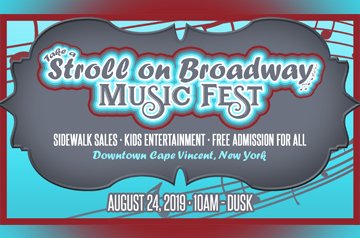 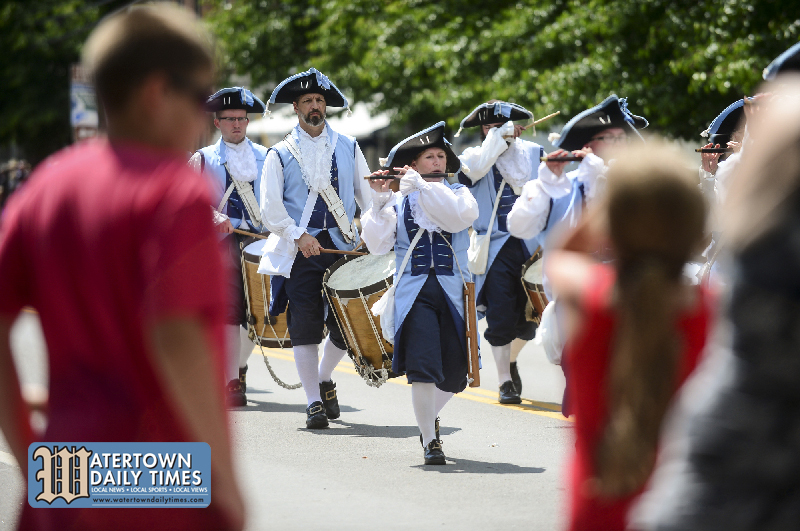 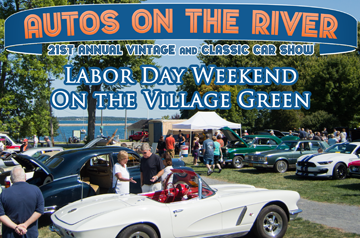 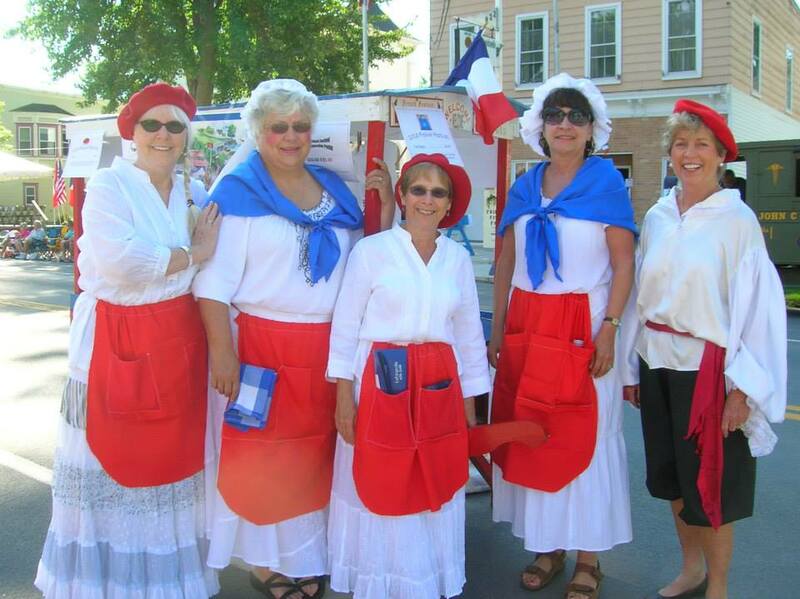 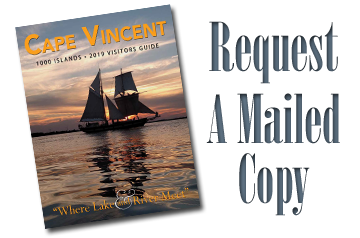 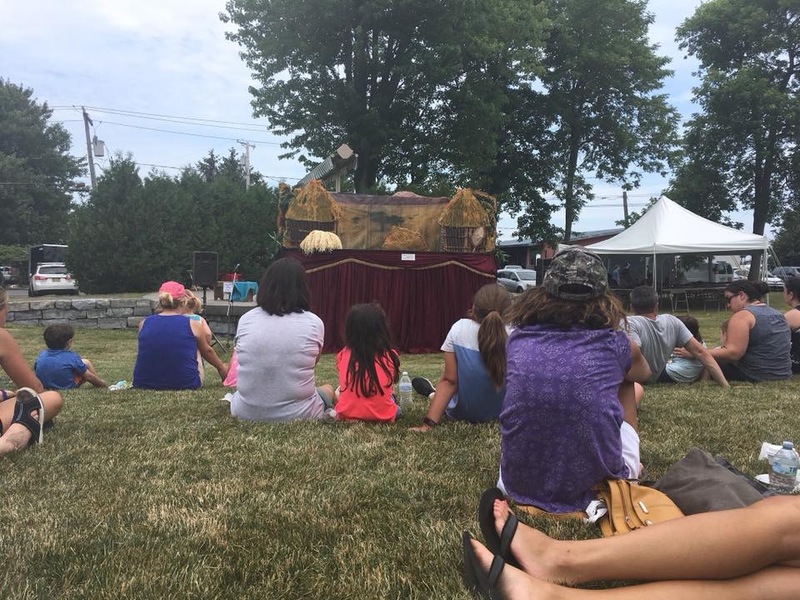 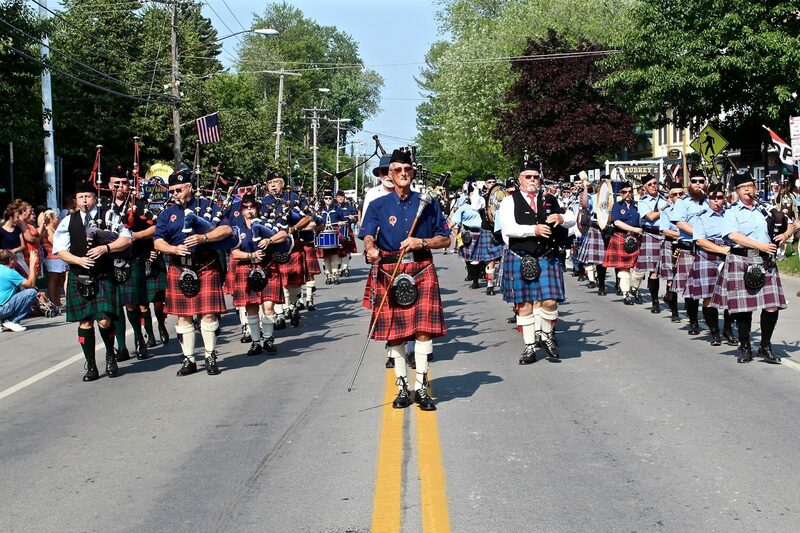 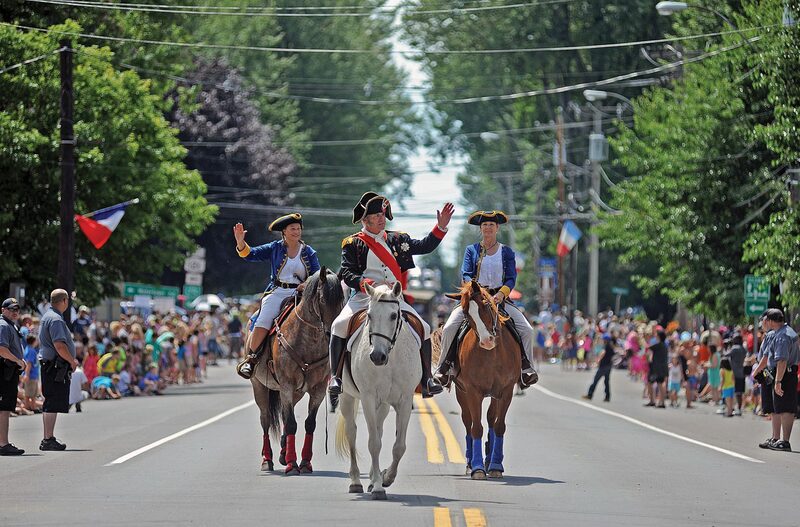 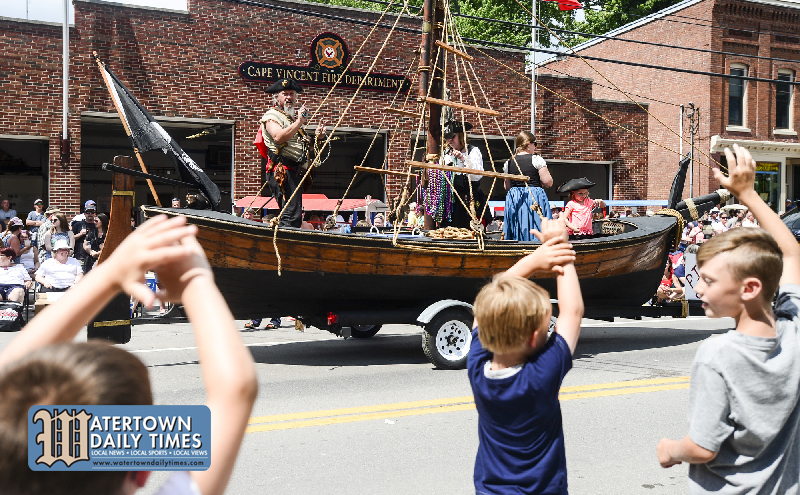 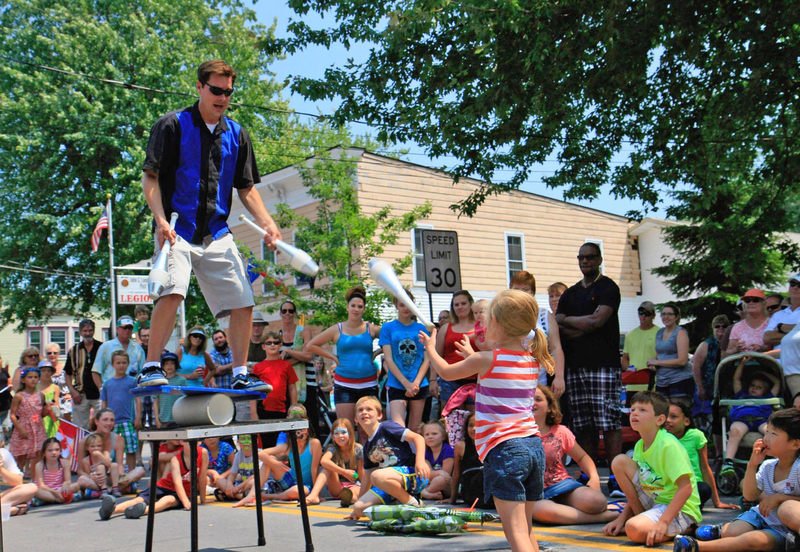 Join us for Cape Vincent’s 51st Annual French Festival Celebration! 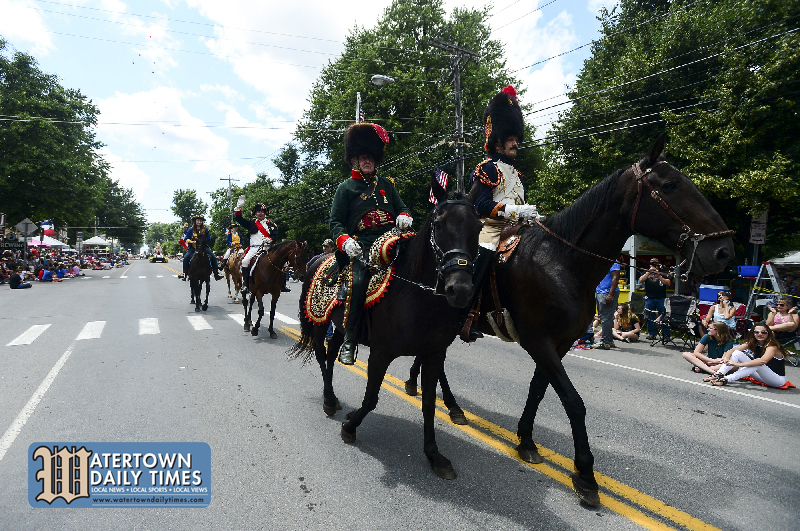 2:00 pm The parade begins with Napoleon leading the way! 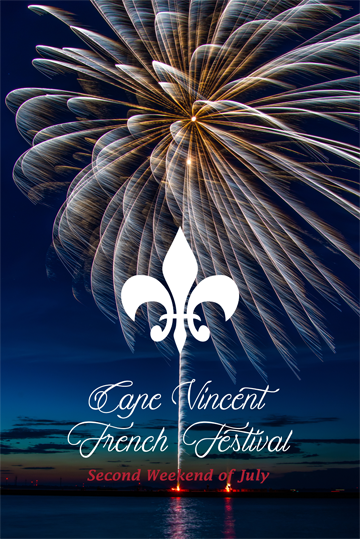 Dusk A gala fireworks display will begin, around 9:30 pm. 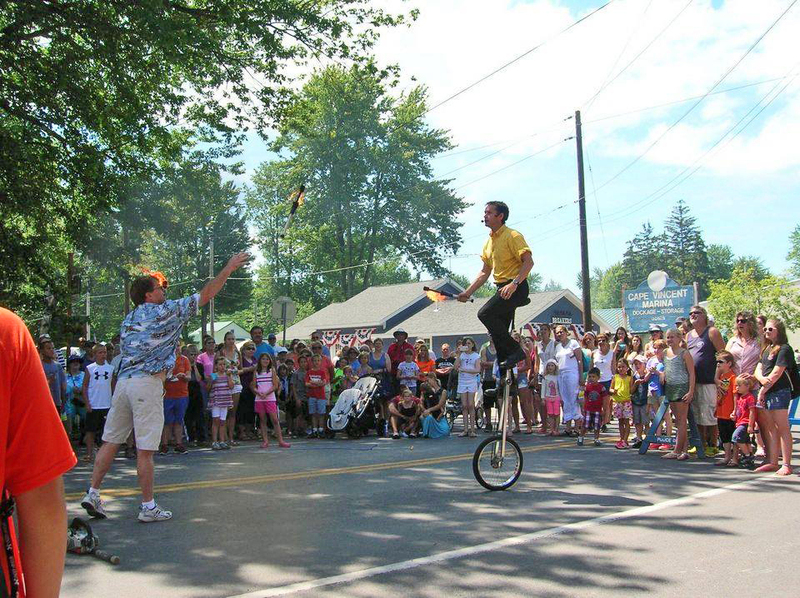 The fireworks will be ignited from the Breakwall on the waterfront resulting in the greatest fireworks show in the 1000 Islands area.